TeaTV APK on Firestick takes the place of Terrarium TV with ease. If you’ve never even heard of Terrarium TV, you’ll still love TeaTV, which was forked long ago from that recently killed commercial project. With the updates TeaTV has received this year, it may soon rival that dead favorite of thousands of cord cutters in popularity with ease. This great streaming Android app allows you to watch free movies and TV shows from around the world on Android or FireOS devices. 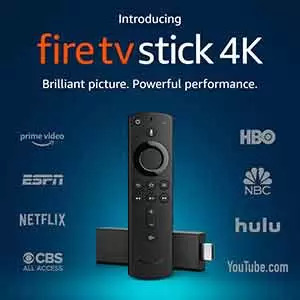 Thousands of free 1080p HD TV Shows and movies will be accessible via live streams and downloads once TeaTV is installed on your Firestick, Fire TV or other Android devices. With its user-friendly interface and wide variety of content to choose from, it’s easy to see why Tea TV is becoming an extremely popular app for Firestick and Fire TV. This MTM article will provide you with both a step by step illustrated install guide and an abbreviated install list. While we assist in installing TeaTV on Firestick/Fire TV & Android TV Box, we’ve also provided easy access to the MacOS and Windows TeaTV installer versions as well. You’ll find a fully illustrated step by step version of the Tea TV Download and Install guide if you scroll down the page. However, seasoned streamers may only need this condensed version of the installation instructions. Be sure you’ve enabled apps from unknown sources and have the Downloader app installed before following below. Within the Downloader app browser tab, type http://mytm.pw/tea then click Go. The provided shortcut simply redirects to https://github.com/TeaTV/TeaTV-Public/releases/latest to save typing time. Use either one you want. When the TeaTV download completes, click Install then Done. That’s it! Enjoy free movies and TV shows on Tea TV APK, but be sure you know the risks of doing so! We point some of these potential hazards out and show how to easily take care of them below. When using free streaming apps such as TeaTV, a securely encrypted VPN is highly recommended to hide your identity, location, and online activities. Many experienced free video streamers, including everyone here at My True Media, prefer IPVanish VPN. We’ll show you how to install Tea TV APK because it is not available on the Amazon App store. This install tutorial is demonstrated on an Amazon Firestick or Fire TV device. Please, note these same steps can be used to install Popcorn Time APK on an Android TV Box, NVIDIA SHIELD, or other devices with Android operating systems. If installing on an Android Box, NVIDIA SHIELD, Mi Box or other Android devices you must install the Downloader app on your device, then follow along. Most Android devices require that you enable Apps from Unknown Sources manually. Our recent guide to enabling apps from unknown sources teaches much more than this required settings adjustment. We also show you how to easily avoid and protect yourself from online snoops and spooks. Circle back to the home screen and choose the Search function by hovering over icon. Then, type in Downloader and choose the Downloader app when it appears. And then click the yellow Open button. Click Allow if you see a prompt at the bottom. Then, click OK for Downloader update notes. To open keyboard for URL box click OK button on the Firestick remote. 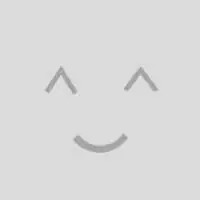 Enter http://mytm.pw/tea into the address bar then click Go. This shortened URL redirects to https://github.com/TeaTV/TeaTV-Public/releases/latest, but we thought our shortened version would be easier to type with a Firestick remote control. If you want to save a ton of time and hassle when typing or navigating in many of the best Firestick streaming apps, grab a great little bluetooth keyboard with touch pad . When the TeaTV download is complete, click Install. Click Done to finish the TeaTV installation. Once you click the search icon, you are shown an ad page. To enter the search function highlight the back button, the arrow pointing to the left in the top left. Then click the right arrow on your Fire stick remote and that will navigate you to the search box. Then, click the OK button to open the keyboard. One feature that I find particularly awesome is the fact you can watch movies on TeaTV when your internet is down. This is because you have the option to download movies and TV shows of various quality to watch at a later time. Since this App uses BitTorrent technology, you should always use a VPN when watching the free TV shows and movies made available this way by TeaTV. Otherwise, your ISP (internet service provider) may harass you or block your internet access. Another one of my favorite features of TeaTV is the ability to watch movie trailers. It allows the user to preview content prior to watching the movie or show. Also, a notable feature is the Similar Movies or TV Shows category shown below the movie description. This is a great way to find something related that might pique your interest. Once you’ve decided on a movie or show, simply click the Play button located at the top of the poster. This will prompt TeaTV to scour the web for sources, so be patient, ultimately you will be presented numerous options to choose from. Options will vary in quality and size so be sure to select one that works best for your hardware and internet service. You’ll have options to set subtitles, use different video players, and even download the content. This feels very much like Terrarium TV did with great selection of free movies and TV series shows! Thanks!